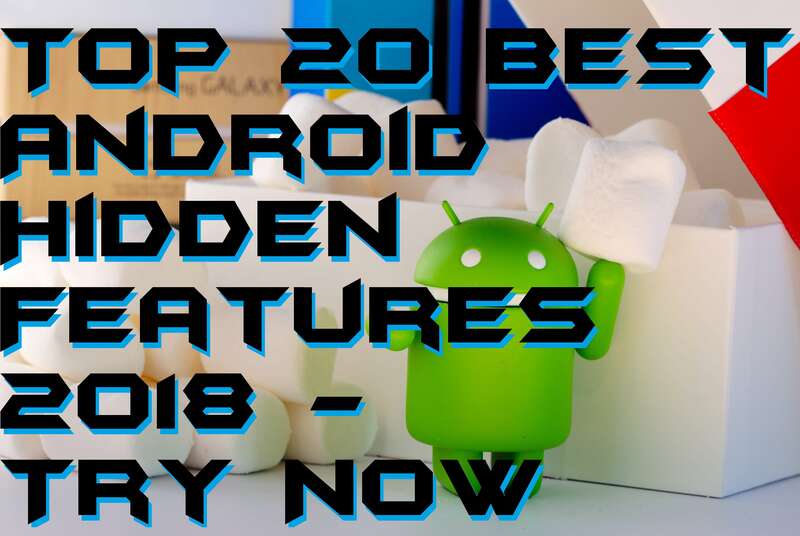 I will share top 20 best Android hidden features for your Android Phone. 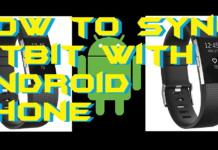 You can use these hidden tricks or secret to unlock various features of Android. These Android hidden tricks will take your Android Phone to a greater extent. Play hidden Games, Edit In-built feature and a lot more you can do on your Android device. More than 80% of the smartphone around the world run on Android OS. It shows the popularity of Android OS. Android is considered to be the easiest OS system. And the best part is Google Play Store. 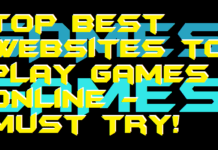 It has an uncountable number of free apps, and games. 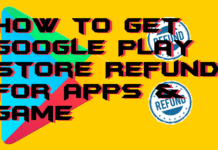 Users can choose from millions of apps from Google Play store. 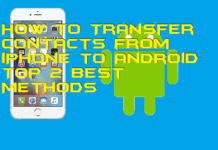 But very fewer people know about the tricks and some hidden features on Android. There are several uncountable Android hidden features. 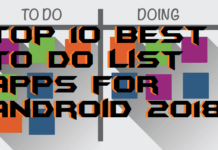 I will share the top 20 best Android hidden features. Make sure you don’t miss any Android hidden features. Read the complete list of 20 best Android hidden features. All these features are amazing and unique. 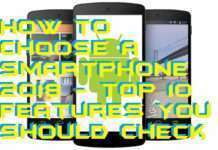 So let’s have a look at the 20 best Android hidden features. Try these hidden features once on your Android device. 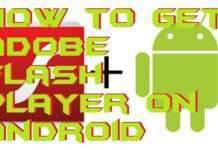 You can access some hidden feature of Android using the methods listed below. This cool little fun surprise aptly termed as “Easter Egg” is actually a simple game. 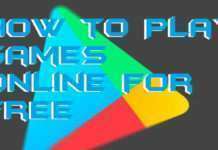 You can play on your Android device whenever you are getting bored and simply want to pass time. Each of the versions of the Android contains an Easter egg game. This is one of the best Android hidden features. Just go to Settings > About phone and then scroll down. Tap on the Android version. Now, Tap multiple times on it until a Windows pops up showing your current Android version symbol. Tap again on this symbol a couple of times and then finally tap and hold for about 2 to 3 seconds to start the game. Now, here is a new feature installed in Android most of the folks are not familiar with yet. This new feature named as Hot Knot facilitates file transfer between two Android devices without the need of any Bluetooth or WiFi connection between them. The only precondition is that both the devices must have Hot Knot and have to be kept closer than 1cm to each other. To access Hot Knot, go to Settings > Hot Knot and then switch it on. You can transfer all kinds of files, documents, images, apps, videos, etc. using this Hot Knot feature although it is available in devices with Android Marshmallow and above. All of the Android devices come with some preinstalled apps which cannot be uninstalled in anyways. We have to keep these apps on our phone even if we don’t use them ever and they continue to annoy us in many ways. Now although we cannot remove those apps from our phone, But we can disable them to vanish from our screens. To do so, Just move to Settings > Applications > All. Then select the app you want to disable. Uncheck the Show Notifications option first to get rid of the annoying notifications by the app. And then click on Disable and Accept. The app will vanish from your screen although it will remain on your phone memory. Android contains a hidden menu which can provide you with more information about your device, apps and the OS itself. This hidden menu contains various statistics about the battery life, temperature, battery health and much more in your smartphone. 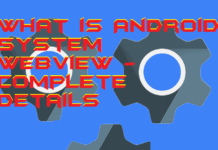 Accessing this hidden menu is very easy although most of the users are unaware of this part of Android. You must be hearing about it for the first time yourself. Just enter *#*#4636#*#* on your call pad to access this menu. Developer options are an advanced set of tools and options that give us greater control over the functioning and detailing of Android. With developer options, we can control and activate different systems of the OS according to our needs and make it more useful and easy for us. All you need to do to activate Developer Options on your smartphone is to go to Settings > About Phone > Build number. Tap on the build number tab for 10 – 12 times and then return to settings to find new options there. You have successfully enabled Developer Options. Tons of apps being installed on our smartphones and each of them providing their notifications. It becomes frustrating when our status bar gets filled up with irrelevant notifications. However, you can block notifications from some of the apps you don’t use much. And receive notifications from the ones you want. To block notifications from apps. Just go to Settings > Apps/Applications. Now select the app you want to block notification. Then, click on Block all to block the notifications from that app. You can unblock the notifications from that app by following the same procedure. This option allows you to invert the spectrum of the color on the screen of your Android device. Everything in your screen will look as if you are looking at the negative of an old photograph. To access this option, navigate to Settings > Accessibility. Now scroll down to the end to find an option called Invert colors/Color inversion. Switch it on to activate the color inversion on your device. This unknown-to-many Android feature has been designed for people suffering from dichromatic color blindness. This color blindness variant has three different types named as protanopia (red-green), deuteranopia (red-green) and tritanopia (blue-yellow). Head over to Settings > Accessibility. Now scroll down at the end to find an option called Color correction at the bottom of the menu. Tap on it! Choose the correction mode according to your suitability and switch it on. It will change your screen color to a spectrum that can be viewed by people suffering from these conditions without any trouble. Another cool feature of Android not many users is aware. You can only zoom your screen if you have opened any pic in your gallery. Browser and games have zoom in/zoom out functions in them. But with a feature known as Magnification Gesture, you can magnify any part of your screen. To turn Magnification Gesture on, go to Settings > Accessibility and find the option Magnification Gesture there. Click on it and then switch it on. Now, to magnify your screen anytime, simply tap 3 times on your screen and it’ll magnify automatically. Use your two fingers to zoom in/zoom out the screen as per your convenience. Tap 3 times again to pop out of it when it’s done. Many smartphones come with their version of the keyboard for you to type your texts. And many of them are devoid of numbers on their home screen. But you can quickly expand your keyboard to contain both numbers and alphabets on the home screen at the same time. You have to add a custom input style to do so on your Android phone. Go to Settings > Language and Input > Google Keyboard > Look and Feel > Custom input styles. Click on the ‘+’ button once there to add a custom keyboard. Choose a language to choose PC in the Type option and click on Add. Now, go to Languages in the google keyboard settings and add the custom one we just created. You’ll find an expanded keyboard like the one you see on your PC. Many-a-times an app gets frozen while in use, and then your whole device starts to malfunction for the moment. It fails to respond, and you find yourself unable even to close the app. 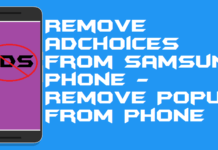 To close an app in this situation, you can boot your device in Safe Mode and disable all the apps and get rid of them. To boot your device in safe mode, hold your power button to get a list of boot options. Such as Power off, Restart, etc. Now hold the Power off option on your screen, and after a while, a window will pop up asking your confirmation to reboot the device in Safe Mode. Google assistant is a great handy tool to operate your Android smartphones smoothly. But its one major downside is you need to have an internet connection on to use it via Google voice recognition feature. But many users don’t know that Google assistant can be used offline too. You just have to download the voice recognition package of your language to be able to do so. Go to Settings > Google Voice > Speech Recognition Offline > All. Now, Choose your preferred language. The package will get downloaded automatically. And you’ll be able to use google assistant offline once it’s done. Isn’t it embarrassing when you are in a meeting or a theatre, and your phone starts ringing suddenly? Everyone in the vicinity starts staring at you and there’ nothing more frightening than that stare. It’s also embarrassing when you have to unlock your phone, slide down your status bar and tap to put your phone on silent mode in the middle of any procession. But Android allows you to activate airplane mode with just 2 tap. Just hold your power button for 2 seconds, and some options will pop up on your screen. Choose the “airplane” icon to be active the airplane mode on your device quickly without unlocking it. Here’s another cool trick most of the Android users have no clue about. You can fake your location while posting something on social networking apps by tricking the GPS into thinking you are in a different location. You need to enable Developer Options first to perform this trick. After enabling developer options, go to Settings > Developer Options and then click on Enable mock locations. Now you have to get an app like the Fake location for simulating your location. Open the app and place the pin on the globe at the location of your choice. Now share anything you want to Facebook, Twitter, etc. and it’ll show your simulated locations at your posts. Many times you find yourself surrounded by folks when you want to draw your pattern to open the lock of your smartphone. Someone suspicious or a person with evil intention may see your pattern and use it to gain access to your phone. So it’s better to make your pattern invisible. You can make it happen by opening Settings > Security and then switch on make passwords invisible. Once done, whenever you draw the pattern to unlock your phone, the pattern will be invisible and cannot be seen by anyone. You have to enter recovery everytime you want to clear the cache on your device. The apps on your smartphone create the bulk amount of cache which takes up your memory space limiting the space for storing files on your devices. But there’s a way to clear all your cache without entering Recovery mode too. Go to Settings > Internal storage > Cached data. Tap on the Delete option to wipe the cache from your device. Click OK.Voila! You have cleaned all the cache without going through the long process of accessing recovery mode to do the same. If you are a YouTuber who happens to record and upload tutorial videos on the related to smartphones, this trick is for you. If you make your videos in the “on-screen” mode, then you need to show your viewers the specific points you are touching on your phone for a more efficient tutorial. For this, you can turn on visible touch points which induce a visible blob at the location you have touched on your phone. You have to enable developer options first. Go to Settings > Developer options and switch on the option named as show touches. After that, all your touches will be visible and you can follow the same process to disable the option too. If for some reason, your phone starts to behave erratically and stop responding to all your command attempts, you can reboot your device quickly by holding down your power button for around 8 seconds. It will bypass all kinds of boot options and just restart your device altogether automatically. Pattern, pins, and passwords are not the only way to lock your android devices. 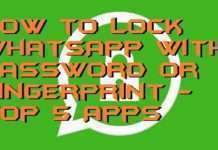 You can also do so by using some advanced locking options in your phone which are known as Smart Lock. The smart lock allows you to unlock your smartphone very quickly and seamlessly without troubling your fingers. You can unlock your phone via face detection or voice recognition and keep your device locked as per your choices. Try this Android hidden features to add a smart lock. Go to Settings > Security > Screen lock. Tap on the smart lock option. Now choose your preference for locking your phone from the list appearing there and become tension-free. You can encrypt some files on your device to add some extra security. This encryption feature is another cool Android feature which can provide some more protection to your phone. Once you have successfully enabled encryption, no one will be able to access the files on your SD card of any kind including music, apps, pics and other data. Encrypting your data doesn’t damage your files; it just converts into an unreadable format. To activate encryption on your android device, just go to Settings > Security and then tap on Encrypt phone and then just get rid of all your tension regarding your device security. These are the best top 20 Android Hidden features. We have analyzed all the Android hidden features and found these to be best. There are several other features of Android. You can share any of your favorite hidden features of Android. Well, my personal favorite was the hidden Android games. Do share your favorite Android hidden features in comments. And don’t forget to share this article with your friends.